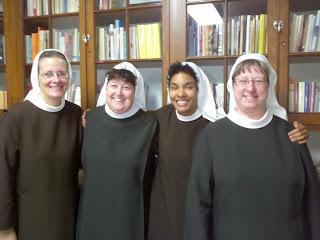 Since entering the community I have grown to love and deeply respect the Felician Sisters, not only in their commitment as Franciscan women, but also in their commitments to the Church, following in the footprints of St. Francis and Blessed Mary Angela, and committed to the spiritual renewal of the world. 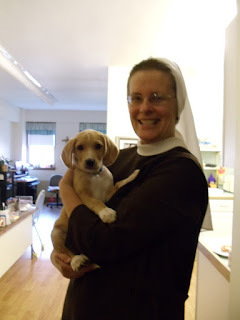 As Franciscans the Felicians have helped me to be a better steward of the earth, making a conscious effort to choose a lifestyle that takes the environment into consideration. I've learned to clean with vinegar and baking soda rather than products that hurt the environment. As a house we rarely eat beef and try to buy locally grown produce, if possible. Just recently we had a class on nutrition and since then I've been keeping a food journal hoping to make healthier choices in what I eat, praying to be a better steward of my body. I've only been a novice for three months, but physically I feel much healthier than I have in years. I've been discerning a vocation to religious life for the past ten years. It takes some of us longer to get to where the Lord wants us to be. I felt the Lord calling me to the Felicians because I was drawn first of all to their love for Mary and for the Eucharist, two components in my spirituality that were not optional. Also not optional was a community that was not only actively faithful to the Magisterium, but recognized the spiritual value in living this truth. 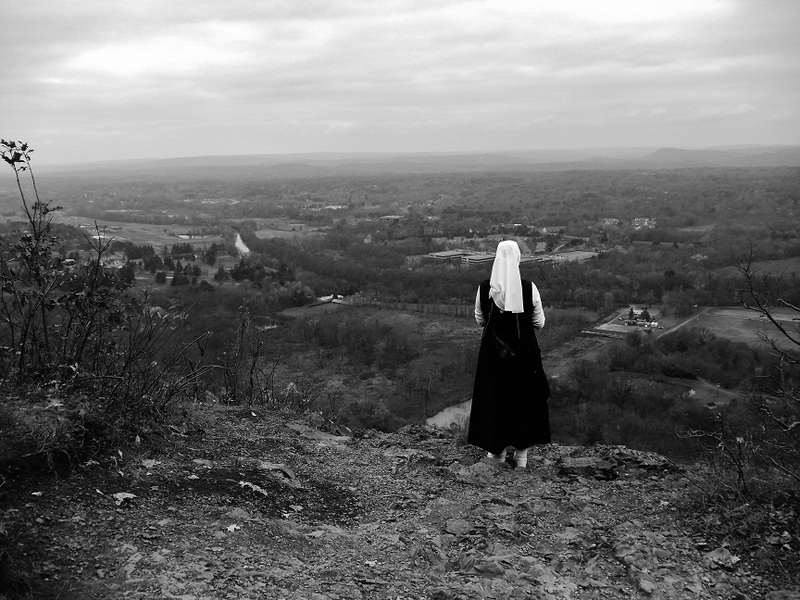 I've seen the Sisters grappling with a lot of the same issues that the Church is grappling with, but their hearts always move toward hopeful obedience. As I study the letters of our foundress I realize that this was so important to Blessed Mary Angela that she mentioned obedience in nearly every letter she wrote. This is a great grace and blessing that I think she obtained for our community. May it always be so going forward. If you are reading this know that you are in my prayers! All through the Heart of Mary in honor of the Most Blessed Sacrament!